My favourite boy in the world pictured looking out from Centrepoint Tower. Max attends Giant Steps school in Gladesville that does a great job for kids affected by Autism. 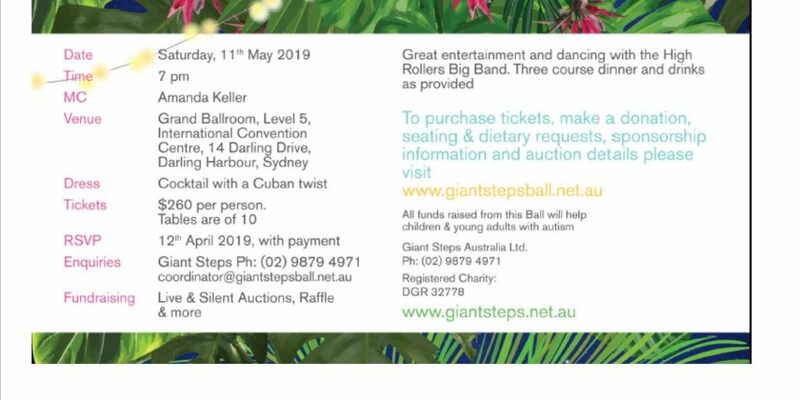 Giant Steps is self funded with parents so fund raising is critical to their survival and the annual Giant Steps Ball is the biggest event on their calendar. I will be attending this year along with Steph and we will be donating our time and effort (private lessons, 100 day starter packs) for the auctions as will Justann Crawford and Jeff Fenech. We thought we would throw it open to the Joe’s Boxing community to come along with us or if you or your workplace could offer something that could be put up for auction or even just a financial donation we will pool and donate from Joe’s Boxing. Myself or Steph will be more than happy to give more information but be aware that 12th April 2019 is the cutoff date for buying tickets.